held at the bottom of the Alpen course in front of Hotel Niseko Alpen. 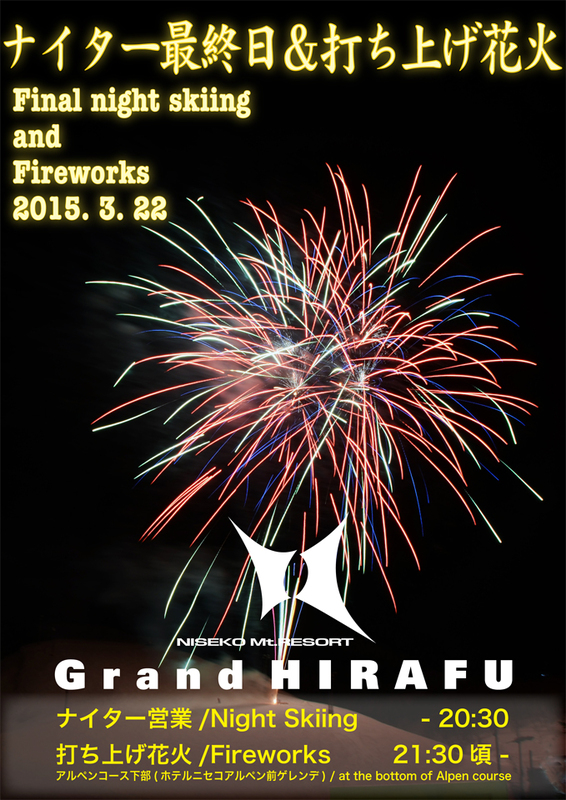 watch the jumbo firework display brighten up the night sky! for Night Skiing this season. skiing until May 6 (Wednesday).